One place I’ve always wanted to visit and got to check off my list this trip was going to a provincial town called Grasse on the French Riviera. It is undoubtedly the perfume capital of the world and where Gabrielle Chanel herself made the iconic fragrance – Chanel No. 5. 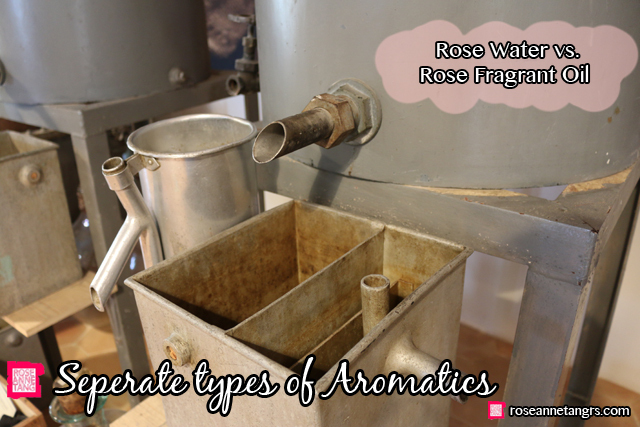 In fact, it’s where most “noses” (those who are in charge of creating the formulas for your signature perfumes) are trained in Grasse to distinguish between thousands of scents. 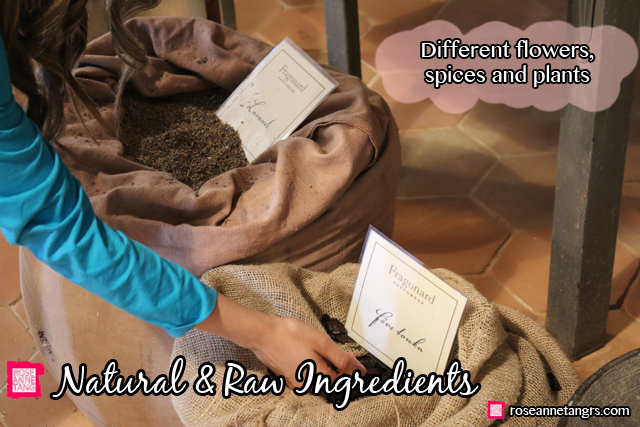 In fact, 2/3 of France’s natural aromas are produced here and most iconic fragrances are made in Grasse! 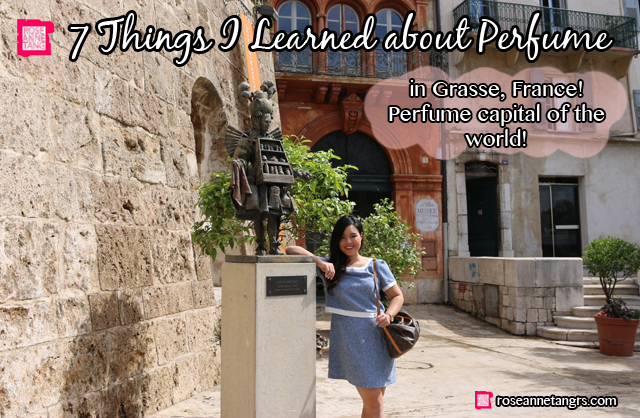 It was a priviledge to include this on my trip to the French Riviera and I can’t wait to share with you 7 Facts I learned about perfume while in Grasse. Let’s start! 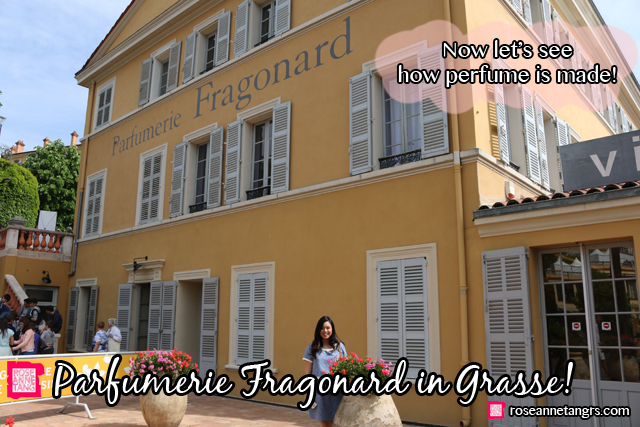 So how did Grasse become the perfume capital of the world? Grasse’s amazing climate allows for the popular flower farming industry here to flourish. It’s warm, has lots of water and is shielded from the sea air which makes flowers easier to bloom. Basically, the key essential ingredient to perfume is so widely available here in Grasse among other factors. However, Grasse wasn’t always a perfume capital of the world. 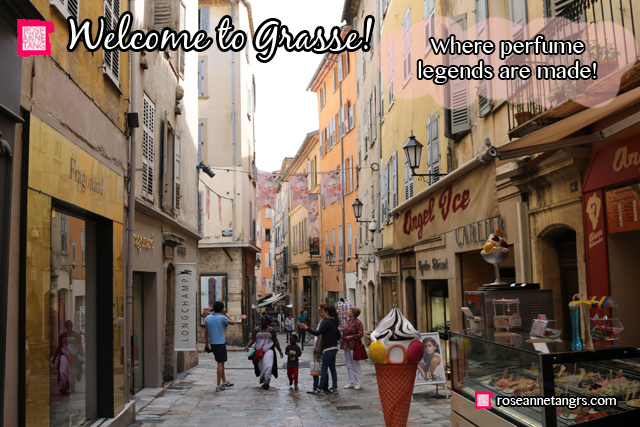 In the 12th century, Grasse was actually known for leather tanning and supplied leather to surrounding Italian cities like Pisa and Genoa. It was a stinky business and most of the Royal Court and High society were disgruntled at the scent of their leather gloves. Thus, came the rise of scented leather gloves and “Glovers Perfumers” in Grasse like Galimard, now the 3rd oldest perfumerie in the world, utiilsed and extracted flowers to make them. Faced with competition from Nice for leather, the demand for scented leather gloves from Grasse decreased but the processes of extracting aromatics from rare flowers remained and well the rest is history! The factory that we visited in Grasse was a Fragonard factory. 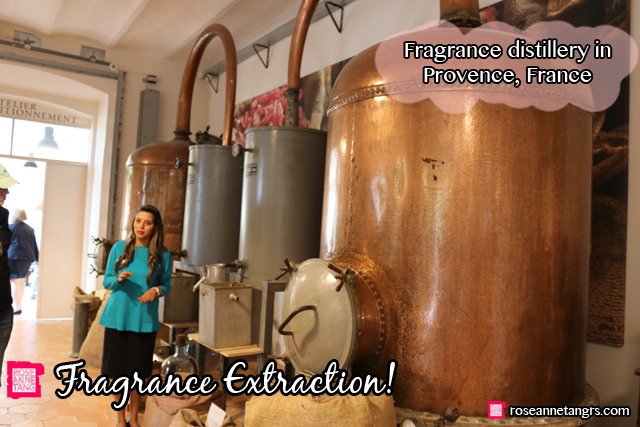 Fragonard is a very popular perfumery in France and has one of the oldest perfume making factories in Grasse. We’ll be exploring their techniques in this post. Perfumes get their scents and fragrances from the extraction and distillation of raw ingredients like different flowers, spices and plants. These techniques have evolved over the years but there are two that were I think most noteworthy that I saw at Fragonard. When you see pictures of Grasse, you’re often greeted with this funny looking bronze machine. In fact, this machine is often seen in L’Occtiane store displays or in advertising. It’s actually a steam perfume distillery that helps to extract aromatics from flowers or spices that are locally grown in the area or imported from other countries. Raw ingredients are thrown into the large vat with water and are boiled. The remaining steam rises up and condenses and what you get is a “condensate” that is part water and oil. The oil rises up out of the water and is separated from the watery distillate. Sometimes this watery distillate is useful and is otherwise known as your common rose water, lavender water or orange blossom water and can be used and sold. But sometimes, the water distillate doesn’t smell very nice and can’t be used so it is thrown away. The oil is then used for the perfumes. Another interesting method is called Enfleurage and is a process whereby odorless fat is used to extract the fragrance from flowers. 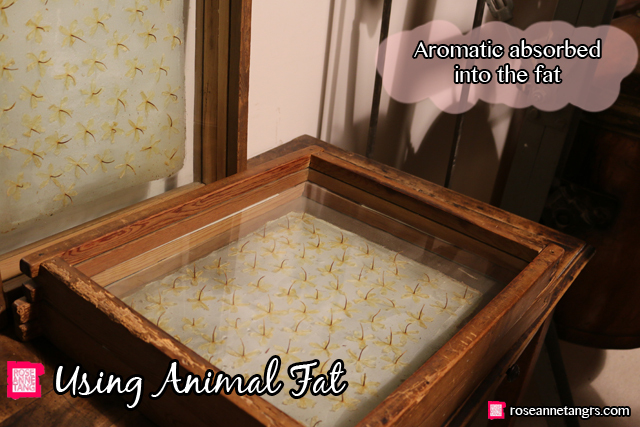 The often animal fat (like lard) is spread on a chassis which is a framed plate of glass and flowers and petals are placed on the fat and are left at room temperature for the scent to diffuse into the fat in a number of days. The flowers are replaced with fresh ones and the process repeated until there is a desired amount of fragrance sitting in the fat. The fat can then be soaked in ethyl alcohol to to draw the fragrance from the fat into the alcohol. This alcohol is then left to evaporate and what is left is the absolute. The fat is then often used to make soaps. What’s the difference between all the commerical perfumes you see? 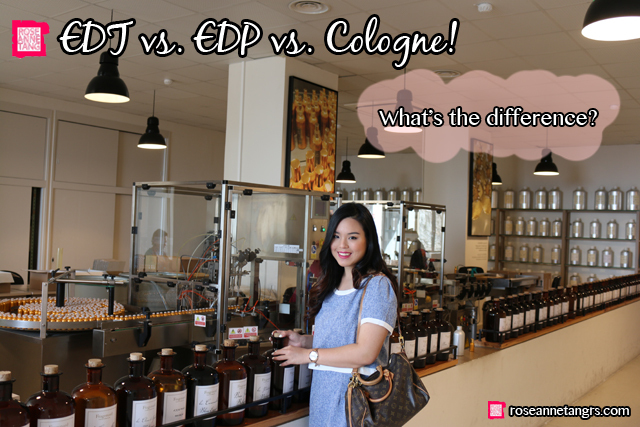 What makes an EDT different from an EDP or cologne? It’s the the concentration of fragrance oils in the perfume. Typically, Parfum is at 15-25% perfume oil, EDP or Eau De Parfum is at 8 – 15% perfume oil, EDT is at 4 – 10% perfume oil and Cologne is at 2 – 5% perfume oil. 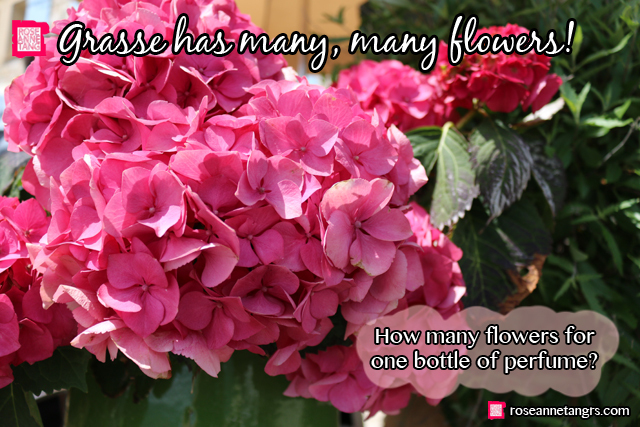 The rest of the liquid is either water or alcohol which makes up the bulk of the fragrance. Typically people think that the more perfume oil that your perfume has, the longer it will last on you but this is not typically true because there are many other factors involved in the longevity of your perfume. These factors include the quality of the perfume oil – the higher the quality, the longer it will last. Furthermore, it also depends on how you wear it and how well it wears on you. 4. Why is Perfume so Expensive? 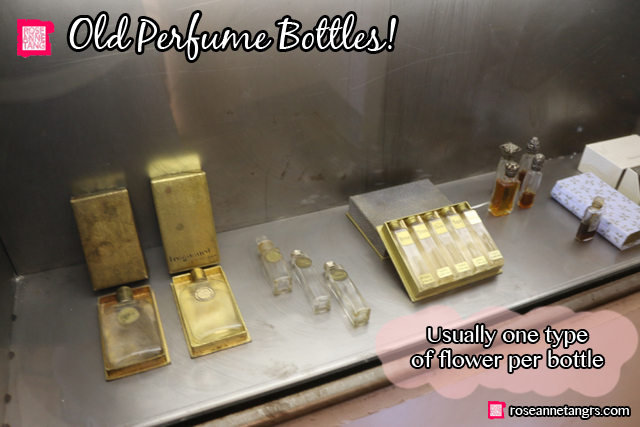 Perfume is so expensive because it takes so many flowers to produce a single small bottle of perfume. The guide at Fragonard said it takes one whole ton of flowers to produce the bottle and I hear that it could also take 660 roses to produce a small bottle. The extraction of these scents and spices along with the bottles and expertise of the nose certainly comes at a price. So why do I keep referring to ‘The Nose”. 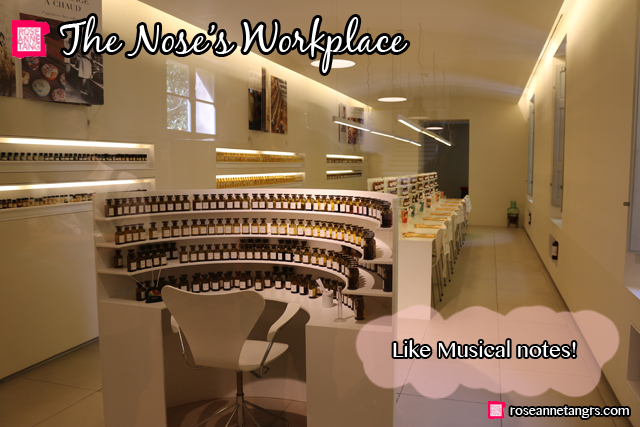 The Nose is the person in charge of creating the formulas for the perfumes you wear today. You can see an example of their work station below. Note how all the scents are laid out like musical notes = top, middle and base. There are only a handful of Noses in the entire world and each specialise in different formulas. For example, a Nose can do EDT’s, EDP’s or perfumes the best. Or say they know rose notes best or lavendar notes. 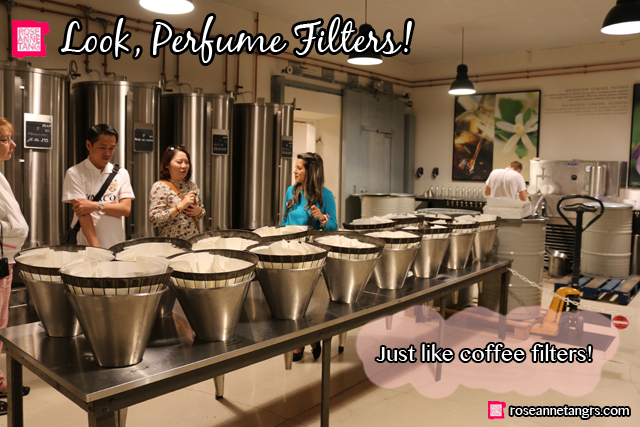 Not anyone can be a Nose or perfumer either – they have a super fine sense of smell and are trained in depth at perfumery schools for years. For some famous Noses, click to find out who made which perfume. It’s actually pretty interesting! Well it’s not exactly new and novel that things have to be filtered but these were everywhere at Fragonard. They even used them as lampshades! Basically they capture any sediments in the oils and liquids before making them in perfumes. They are just like coffee filters and smell great. We had fun picking up the filters and guessing which flower is which. 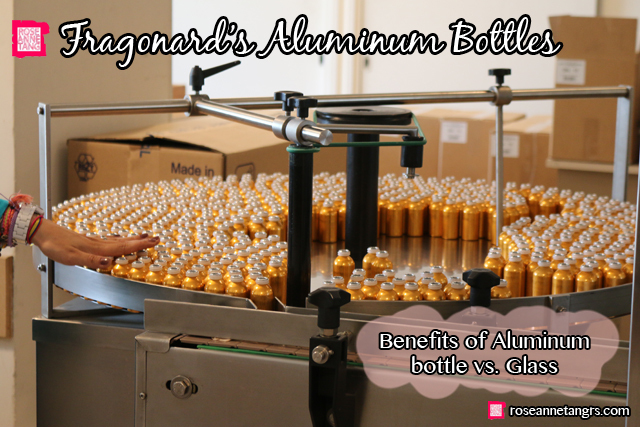 We’re most familiar with our perfumes held in glass bottles but at Fragonard, most of their classic perfumes are held in aluminium bottles. Because the perfumes aren’t exposed to light, aluminium bottles are said to increase the longevity of the perfume. Perfumes can’t be stored in say plastic bottles because if they did, the perfume particles would easily escape and your whole room would smell like the perfume! 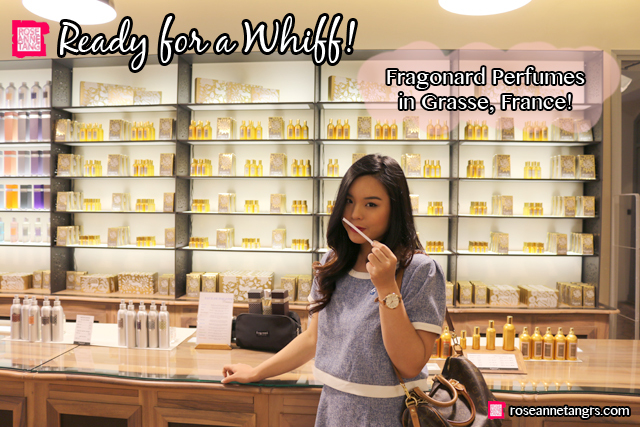 I really hope you found this post useful and learned a lot about perfume production in Grasse, the perfume capital of the world! It’s my last day in London now and I’m flying back to Singapore tonight! To say I’ll miss Europe is a huge understatement. I learned many new beauty trends and tips that are not found in Singapore and I can’t wait to share them with you in my future posts!